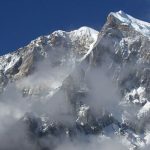 The Indian Himalayan region has been map quested over the years by several explorers from all over the world. They have helped us come closer to a natural world, which can be compared to a paradise that looms in snowbound green valleys, dotted with lakes, splashed with waterfalls and untamed rivers and is home to several species of animals, birds, insects and plants. Hats Off! 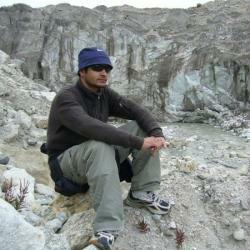 They have left no stone unturned in looking for another new haven in the Indian Himalayan region. 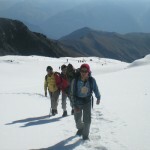 It is just because of some explorers that we are able to be on the ball… what’s hidden in the Himalaya. The rocky and windy tracks, passing through mysterious wood and lucking into a place of complete bliss, delight and peace… is that what you describe a CRAZY JOURNEY? May be, but they are the lucky ones and has been maneuvering few like them. Their journey mapped out the deadliest treks in the Indian Himalayan region as it also guided us to tread on the hem of towering peaks, those reflecting upon the crystal clear waters of lakes. The Indian Himalayan region secludes several natural lakes and water reservoirs which are the source of many rivers and lifeline for the remote inhabitants. A of them are believed to be sacred according to Indian and Tibetan myths. These natural lakes in the Indian Himalayan region are classified into three categories as: high altitude, mid altitude and low altitude. Well, our eyes always remain on the high altitude lakes in the Indian Himalayan region as it stays on like emulation on our travel diary. 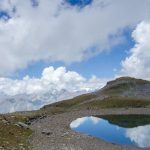 Below is a list of the top 12 high altitude lakes in India, which are tucked in the midst of snow clad mountain ranges of the Indian Himalaya. Set at a mighty elevation of 5,486 meters, the Tso Lhamo is the highest lake in India and 14th high altitude lake in the world and is located in North Sikkim, approximately 9 kilometers away from the Gurudongmar Lake. Passing through the Donkiala Pass that leads to the Tibetan border, one steps onto the shore of the Tso Lhamo, which is also known as Chola Mu Lake. The ambiance is simply stern and solemn giving one a sense of isolation. The destination is perfect for the ‘VROOMERS’ though one need to have special permits from the Government of Sikkim. The ideal time to kick start your thunderbird to Tso Lhamo is during the months of October and November. Point to note: It is believed that the source of River Teesta is Tso Lhamo, but the origin of River Teesta is the Khangchung Lake, which is a small glacial lake, approximately 70 meters farther from Tso Lhamo. One of the sacred lakes in India, the Gurudongmar Lake, which is perched at an elevation of 5,243 meters in North Sikkim, is the second highest lake in India. It is believed that the founder of the Sikh religion, Guru Nanak Dev Ji visited the Gurudongmar Lake on his journey to Tibet. The lake is named after a perpetual myth when Guru Nanak Dev Ji broke the upper layer of ice with his ‘dang’ (stick) and said that the water of this part of the lake will never freeze and thereafter he blessed the lake stating that whosoever takes the water of this lake will gain virility and strength and will be blessed with children. In the late 20th century, a Gurdwara was constructed in its vicinity and was renovated by the ’22 Sikh Regiment (Indian Army)’ that started from December, 2009 to May, 2011. Point to note: The Gurudongmar Lake is one of the sources of a tributary of River Teesta. Often dubbed the Skeleton Lake and locally known as the Mystery Lake, Roopkund, which is at an elevation of 5,029 meters in the Garhwal Himalaya in Uttarakhand, is one of the popular high altitude lakes in India and is the third highest lake in India. Set on the hem of Trishul Parbat, access to this lake is quite strenuous but it has been pulling in trekkers from all over the world. Roopkund has attracted attention through its collection of human skeletal remains, which are easily visible at the bottom of the lake when snow melts. It is said that these skeletons date back to the 9th century and belong to a group who were heading for a pilgrimage to Nanda Devi shrine. Point to Note: The major attractions are Trishul and Nanda Ghunti at an elevation of 7,120 and 6,310 meters respectively. Further, the Nanda Devi Raj Jat festival takes place once every twelve years at Roopkund, during which Goddess Nanda is worshipped. Located in the lap of Mt. Kanchenjunga, the Green Lake at an elevation of 4,935 meters in the landlocked state of Sikkim is one of the least accessible high altitude lakes in India. It is the fourth highest lake in India and the third in Sikkim. Passing through the dense and colourful wood, dotted with rhododendron and blue poppies, the trek leads to the Zemu Valley. The vicinity offers a stupendous view of the Kanchenjunga range. Just for the ‘road wheelers to Leh from Manali’… Suraj Tal at an elevation of 4,883 meters is the highest lake in Himachal Pradesh and the fifth high altitude lake in India that is beautifully perched at the base of Baralacha Pass of the Zanskar Range. Its vicinity offers a breathtaking and refreshing break for the thunder birders. Suraj Tal is often considered as one of the sacred lakes in the Indian Himalayan region and its name signifies the ‘Lake of the Sun God’. Point to note: Suraj Tal is the source of River Bhaga. One of the glacial lakes in the Indian Himalayan region as well as one of the sacred lakes in the Garhwal Himalaya, Kedar Tal at an elevation of 4,750 meters is the sixth high altitude lake in India and the second highest lake in Uttarakhand. It is the source of River Kedar Ganga and the lake is often dubbed as Shiva’s Lake as it is believed that the lake is a contribution by Lord Shiva to River Bhagirathi. One can enjoy the spectacular view of the peaks like Thalay Sagar at 6,904 meters, Meru at 6,672meters and Bhrigupanth at 6,772 meters. Right on the tracks of one of the most challenging treks in the Garhwal Himalaya in Uttarakhand, the Kalindi Khal Trek, which is from Badrinath to Gangotri via Nandanban and Gaumukh, Vasuki Tal at an elevation of 4,730 meters is the third highest lake in the Garhwal Himalaya and the seventh highest lake in India. Being one of the high altitude lakes in the Indian Himalayan region, its vicinity offers a pleasant view of the surrounding peaks like Bhagirathi, Shivlinga, Basuki, Chandraparbat and Satopanth. One of the brackish lakes in the Indian Himalayan region, Tso Kar at an elevation of 4,620 meters is the eighth highest lake in India and the highest lake in the Ladakh region. Tso Kar is a home to several migratory birds as well and its vicinity is also dominated by various species of wild animals. It is approximately 130 kilometers from Sarchu and a great place to camp overnight. Yet another sacred lake in the Garhwal Himalaya, the Satopanth Lake at an elevation of 4,600 meters is the ninth highest lake in India and the fourth in Uttarakhand. It is one of the high altitude lakes in India that often pulls in the Hindu pilgrims from different corner of the country. It is believed that Lord Brahma, Vishnu and Mahesh take bath in the lake on an auspicious day. 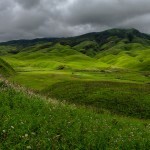 Nonetheless, its vicinity also offers some rare species of birds, which can’t be found in any other place in the world. From its vicinity one can enjoy the spectacular view of the surrounding peaks like Balakun, Kuber Top, Mt. Nilkantha, and Mt. Swargarohini. Point to note: The Satopanth Lake Trek passes through one of the dangerous glaciers, the Dhano Glacier. Yet another brackish lake in the Indian Himalayan region, Tso Moriri at an elevation of 4,595 meters is the tenth highest lake in India and the second highest in the Ladakh region. Nonetheless, it is another high altitude lake in the India that is an abode to several species of migratory birds and endangered animals. 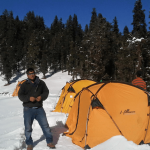 From its vicinity one can enjoy the spectacular view of the surrounding snow capped peaks as well as it also offers a rejuvenating atmosphere to camp overnight. Obviously one who is looking forward for camping in Ladakh… Tso Moriri is one of the ideal pick. Less explored… Kiagar Tso is one of the high altitude lakes in India with an elevation of 4,500 meters in the Ladakh region. It is the third highest lake in Ladakh and eleventh in India and is accessible via Mahe Bridge from Leh. 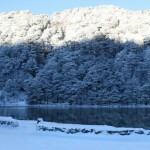 One of the major attractions in the vicinity of Kiagar Tso is the Chumathang Hot Spring. One of the most popular high altitude lakes in India, which is frequently visited by leisure tourists as well… Pangong Tso at an elevation of 4,350 meters is India’s twelfth highest lake and the fourth in Ladakh. Despite being a brackish lake, Pangong Tso remains completely frozen during the winters. But from June to September… one who is seeking for camping in Ladakh, the vicinity of Pnagong Tso just makes it exotic and quixotic. It is also a home to several species of migratory birds like the Bar-headed goose and Brahmini ducks, which can be easily spotted during the summers. Further, having a gratifying ambiance, Pangong Tso has been a popular location for many bollywood flicks. Point to Note: As Pangong Tso shares the Sino-Indian Line of Actual Control, special permits are required to visit the lake.